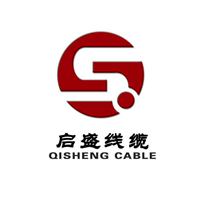 Product categories of Monitoring Cable, we are specialized manufacturers from China, Monitoring Cable, Computer Monitor Cable suppliers/factory, wholesale high-quality products of Computer Monitor Cable Adapter R & D and manufacturing, we have the perfect after-sales service and technical support. Look forward to your cooperation! A Monitoring Cable is a general term for various wires that transmit electrical or optical signals. The monitoring cable is usually a covered wire. The copper wire and the steel wire are mixed and twisted into a conductive core. The outer sheath is made of an insulating material. It is tensile and wear resistant. It is easy to retract and reuse. There are mainly video cables and RF wires. Shielded and unshielded, signal lines, control lines, etc., various models.